More than 22,000 North Carolinians sought refuge at disaster shelters during Hurricane Florence and the devastating flooding that followed. The last of the disaster shelters closed November 9, 2018. Most households were able to leave the shelters and return home, many accessing FEMA and other assistance. Based on experience in past disasters, most recently Hurricane Matthew, we knew that a new resource was needed for those at risk of becoming homeless with no access to other disaster resources and no clear path out of disaster shelters. Back@Home North Carolina is designed to fill this gap by using a cost-effective rapid rehousing model and precedent set by Houston, TX and Puerto Rico. During the program's first month of operating, Back@Home housed 100 people from disaster shelters. Now that the disaster shelters are closed, Back@Home is continuing to house individuals and families that were affected by Hurricane Florence and are currently experiencing or at risk of homelessness. Recruit landlords to provide housing opportunities for individuals and families. Identify and select a rental property based on a household’s unique needs (e.g. accessible units), preferences, and financial resources. Address issues that may impede a household’s access to housing (such as credit history, arrears, and legal issues). Provide Financial Assistance to cover move-in costs, deposits, and the rental and/or utility assistance (typically six months or less) necessary to allow individuals and families to move immediately and to stabilize in permanent housing. Supply Move-In Kits for the essentials— mattresses, pillows, bedding, towels, and food boxes— at lease signing so families can move in right away. Supply additional Move-In Kits of furniture and household goods. Provide or assist the household with connections to resources that help them improve their safety and well-being and achieve their long-term goals. This includes ensuring that the household has access to resources related to benefits, employment and community-based services so that they can sustain rent payments independently when rental assistance ends. Back@Home North Carolina is a collaboration and partnership of state and local partners implementing a targeted rehousing program to serve a select high-needs population with no path out of the disaster shelters. 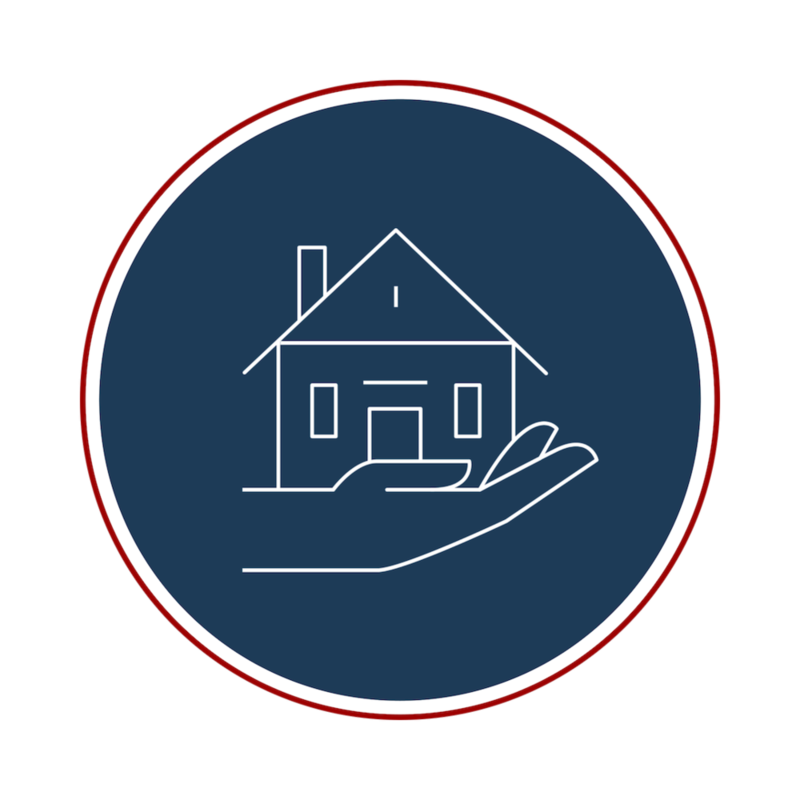 The North Carolina Department of Health and Human Services is the administrating agency of the Back@Home initiative with assistance from the North Carolina Coalition to End Homelessness and the North Carolina Housing Finance Agency. Agencies do not accept direct referrals. If you are interested in receiving Back@Home assistance view our Get Help page. We could not accomplish our goals without the generous support of our private funders.